Guest Jackson Wu teaches Chinese pastors and blogs at www.JacksonWu.org. His latest book is One Gospel for All Nations: A Practical Approach to Biblical Contextualization. When meeting up recently, he mentioned how our books share some overlap. Here’s the idea. How does the one gospel make sense for shame, guilt and fear cultures? Some people seem to feel they must argue for one against the others, as if the gospel was primarily about guilt and second about shame and fear. The truth is that we don’t have to choose. Within the gospel’s framework, we can see how it connects with people from each cultural perspective. To draw an analogy, framework themes are like the framework of a house. Explanation themes are like the plumbing, wiring, and furniture. Both are critical for making a house a home. They simply have different functions. 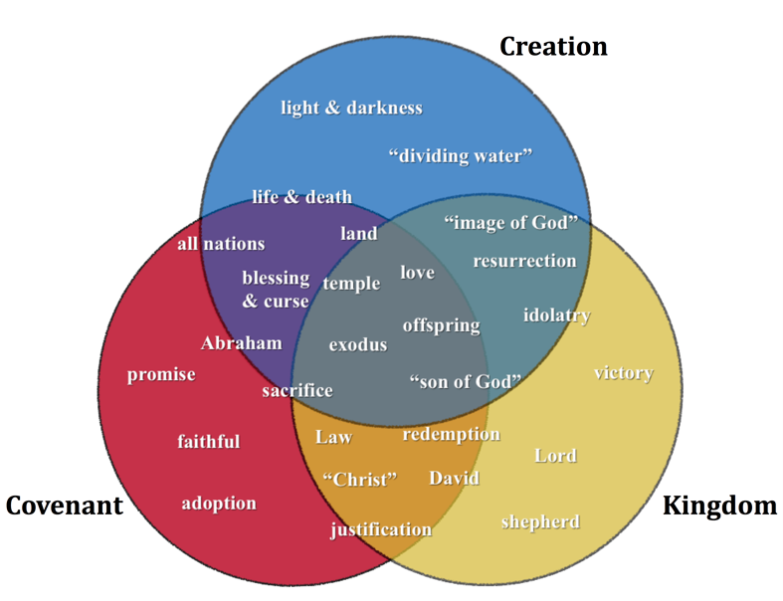 The framework gives the gospel its firmness; the explanation themes allow for flexibility within our presentations. By distinguishing framework themes from explanation themes, we can guard against both “cultural syncretism” and “theological syncretism.” We make sure that we allow the Bible to frame our gospel rather than cultural or denominational agendas. 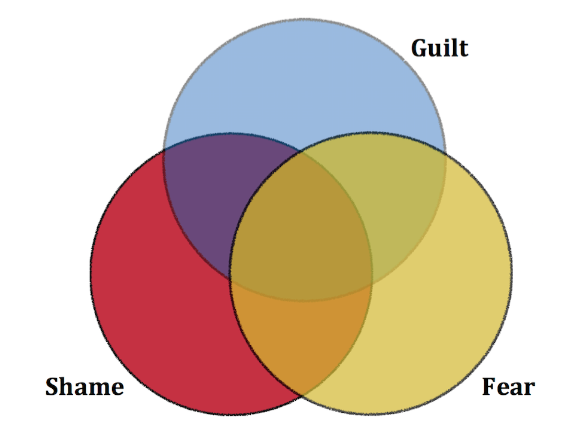 What about Shame, Guilt, and Fear? Compare the graph below, which is adjusted from the above three circles. Notice that each framework theme tends to emphasize a particular cultural perspective. Covenants lay stress on relationships and thus honor-shame are key issues. Kingdom language connects with ideas of power and fear. Creation highlights what is universally true thus the concept of guilt. We don’t have to choose between a “gospel of shame” versus a gospel of guilt or fear. Built into the one true gospel is a firm framework that speaks to each of these three major cultural themes. The model offered in One Gospel for All Nations helps us to understand how diverse gospel presentations still present the same core biblical message without compromise. Accordingly, we can share the gospel in a way that is both biblically faithful and culturally meaningful. This looks like an excellent companion book to the 3-D GOSPEL. The latter simply and succinctly describes how to view shame, fear and guilt cultures, respectively, when seeking to communicate the gospel. 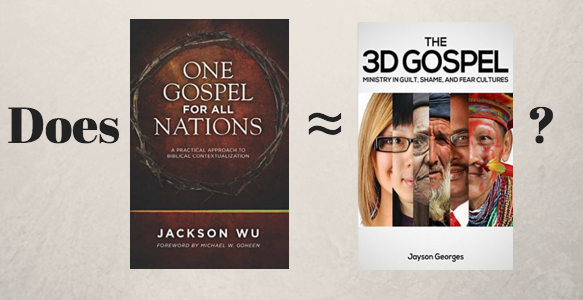 Wu’s book looks as if it will answer some further questions I had upon completing the 3-D GOSPEL–specifically how the three cultural frameworks overlap and how to biblically contextualize the gospel to fit the recipient without compromising it’s theological integrity. I’m looking forward to reading it!